You already know this, unless you’re new here, but my name is Tabitha. It’s an easy, yet rare name. I’m the only Tabitha I know… in person anyway. There are a few bloggers I have come across bearing the same name. I think it’s pretty awesome that the only way I’ve met people with the same name as me was through the Internet. Just think, if the Internet didn’t exist, I would still be the only Tabitha I know. Going through life with a rare name is great. You don’t have to go through all that chaos of sharing a name with 3-4 of your classmates or coworkers. You can say my name in a room full of people and I know you’re talking to me, no one else. In fact, I was the only one with my name in school, grades K-12. How cool is that? In fifth grade I won this school-wide contest and when the principal butchered my last name during the announcement, I still knew he was talking about me since, well, I was the only Tabitha in the entire school. I get a lot of compliments about my name. I also get asked if my parents were Bewitched fans. I’m not quite sure if they were, but they did know of the show and the baby witch Tabitha who moved things by wiggling her nose. I have actually never seen the show, but I’ve been told about it, because of my name. I believe it was the popularity of the show that caused the name to break into the top 1000 most popular girls’ names in the mid-1960s, though it’s never gotten into the top 100.
ranking #126 of most popular girls' names. For the most part, I associate my name with the Bible. In fact, when my mom told her uncle what my name was he said, “What a nice Bible name.” Go figure, my mom forgot it was even a Bible name, but with good reason. The name Tabitha comes from the Aramaic language, which is one of the main translations of the Bible, however in the Greek translations of the Bible my name was translated as Dorcas. The latter was the name my mom was familiar with reading in her past versions of the Bible. If I had the choice, would I rename myself? 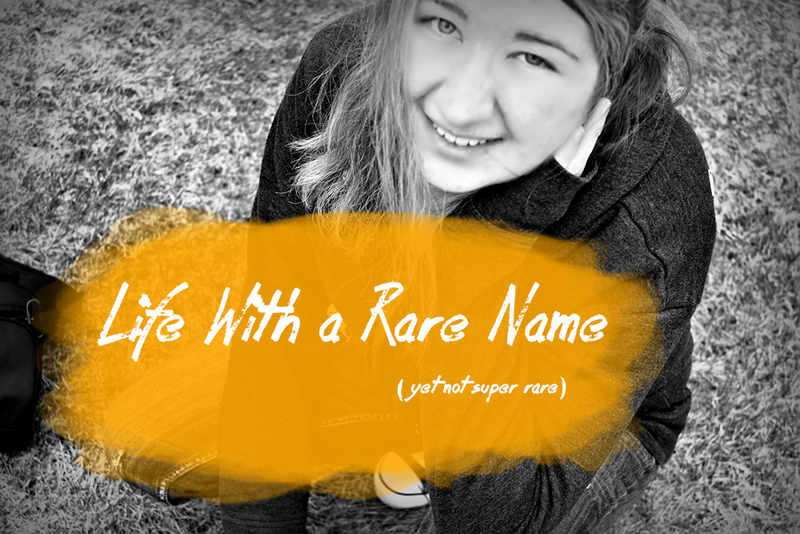 I love my name, and not just because it’s a rare one. I just can’t imagine having any other name really. It fits my personality and I think if I had any other name, it just wouldn’t sound right. I think my parents did an excellent job naming me, both my first and middle names. Hey, I love that name. It is unique and beautiful. Thanks for sharing your thoughts. Yeah, common nickname. I went through a phase where I wanted to spell it ‘Tabi’ but went back to ‘Tabby’ before starting high school. Tabitha is much better than Dorcas! :) My name isn’t as rare, but the spelling of it is– I see plenty of EriCas but not as many EriKas. I only remember two other Ericas with a C in elementary through high school, but no other Erikas with a K! I always looked at it as a burden– having to spell my name out so people wouldn’t put that wretched C in there! My poor kiddos have at least two other girls with the same name in their grades, so I see the other side of the struggle, too! Yeah, that’s got to be rough too, having to spell out your name so they get it right. Actually, some people have thought that I spell my name Tab-a-tha instead of Tab-i-tha… no idea why, but they do.